Originally posted 12/9/2012. Updated 1/2/2013. The Flash Gordon strip rereleased by King Features today (12/9/2012) originally ran on August 20, 2000. I decided to stay true to the Raymond version from then on out. My initial updating of Prince Thun – whereas the Lion-Man looked more like a lion. Modeling Thun after Raymond’s version. One way to flesh out a character you’re creating is to use a model or picture reference for inspiration. 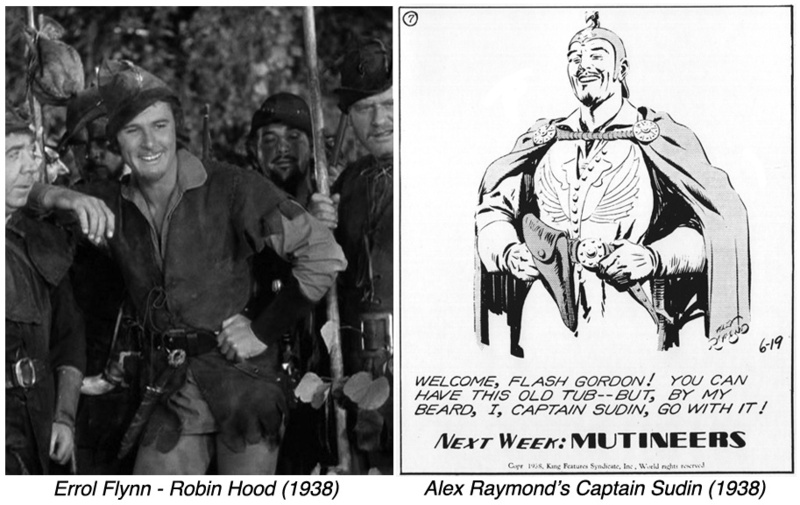 Here’s an example of Alex Raymond doing as much – modeling Captain Sudin after matinee idol Errol Flynn. For King Vultan’s headstrong daughter Princess Tyree I needed a character who just radiated strength and self-confidence. 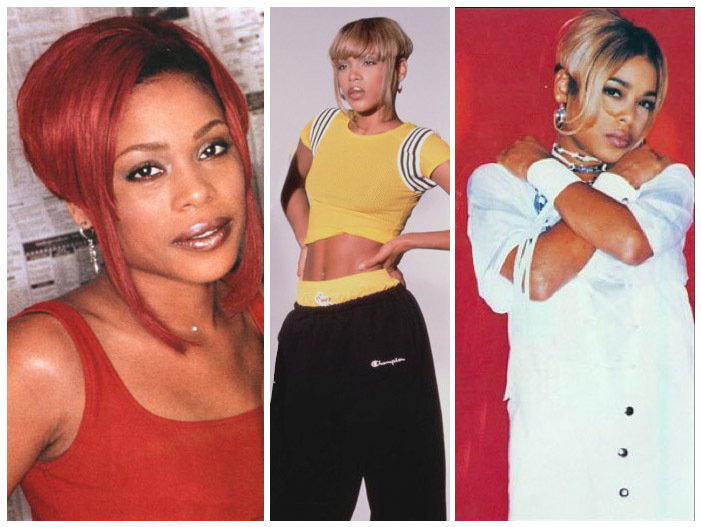 I went with Tionne Watkins – or T-Boz from TLC. In Writing 101 you learn to avoid cliches. 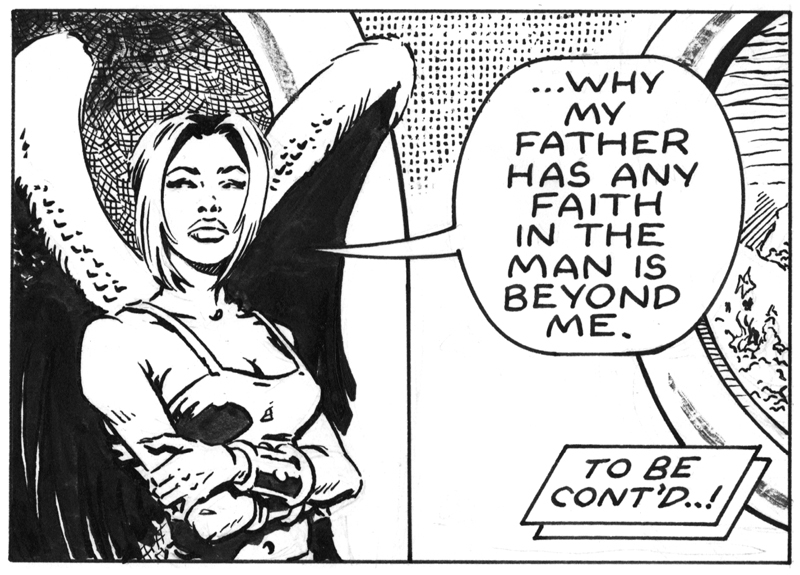 One of the cliches for Flash Gordon stories is that the female characters all swoon over him. In this respect I thought Tyree would be a welcome change. It’s said that strong characters write themselves, it’s not entirely the case, but it sure gives you more tools in your toolbox to work with. The toolbox analogy is from Stephen King. For more on the craft of writing I recommend reading King’s On Writing. One of the best books out there on the subject as far as I’m concerned. This entry was posted in Al Williamson, Alex Raymod, Flash Gordon and tagged T-Boz, Tionne Watkins, TLC. Bookmark the permalink.